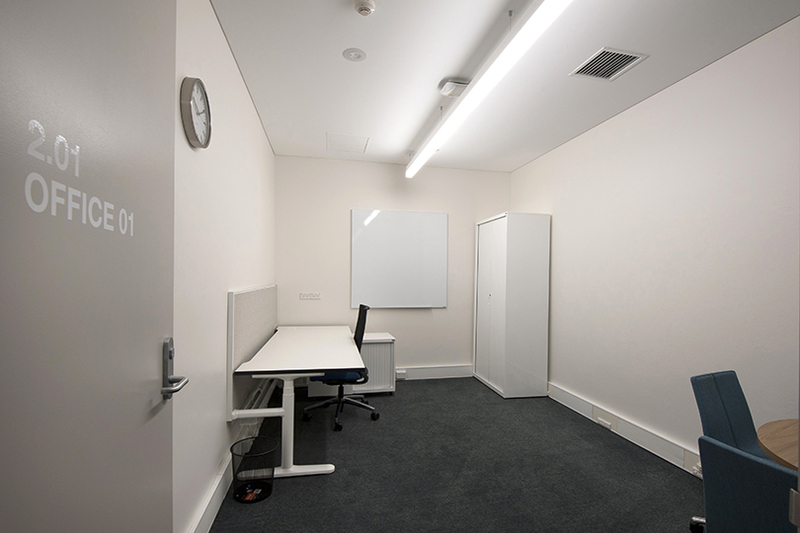 Grindley Interiors were engaged under a Construct Only contract to complete the Australian Maritime Campus fitout for the University of Tasmania at the Maritime Museum, Sydney. 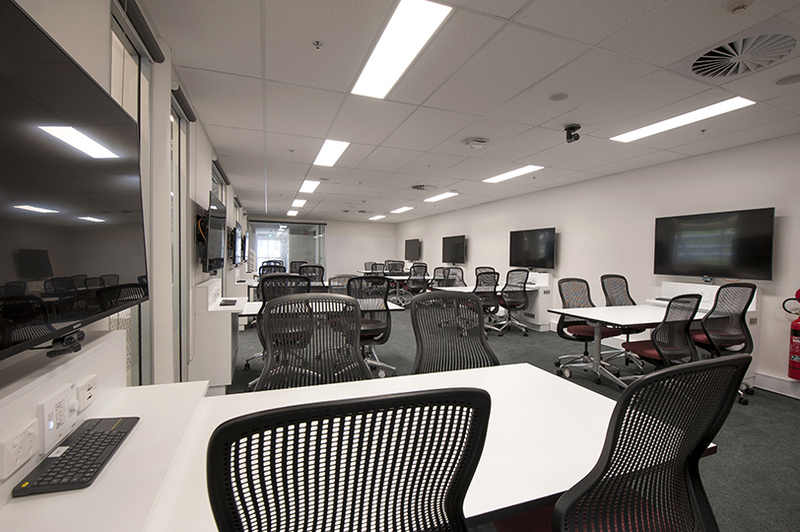 Works invloved the installation of new joinery items, artwork, furniture and communication capabilities to create new learning and collaboration spaces for maritime studies. 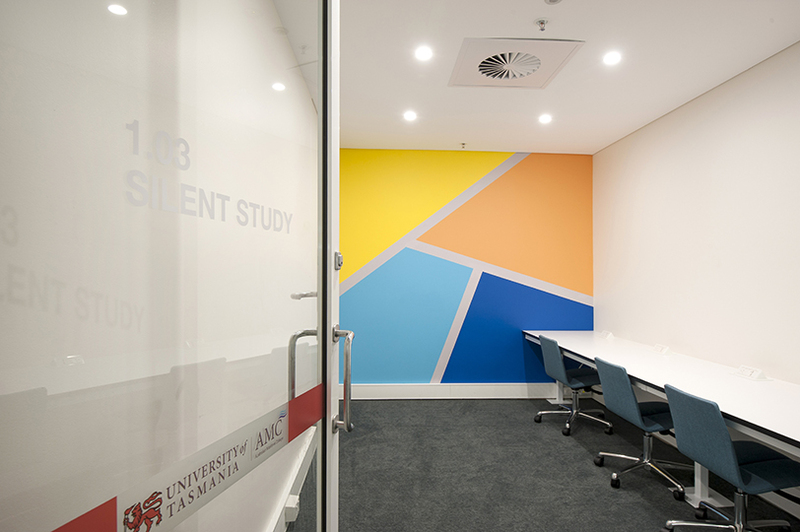 These spaces include reception and student helpdesk on Ground Floor, a collaborative learning space, a silent study room, student lounge, learning hub and multipurpose rooms on Level 1, and office spaces and a computer lab on Level 2. 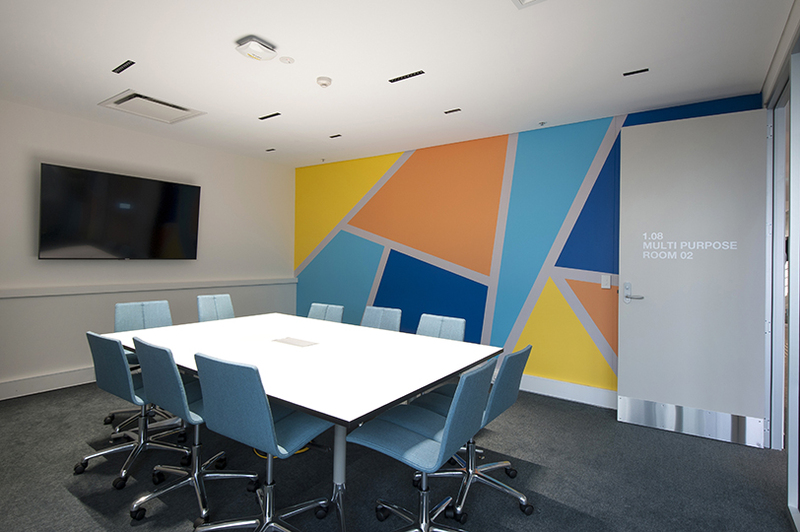 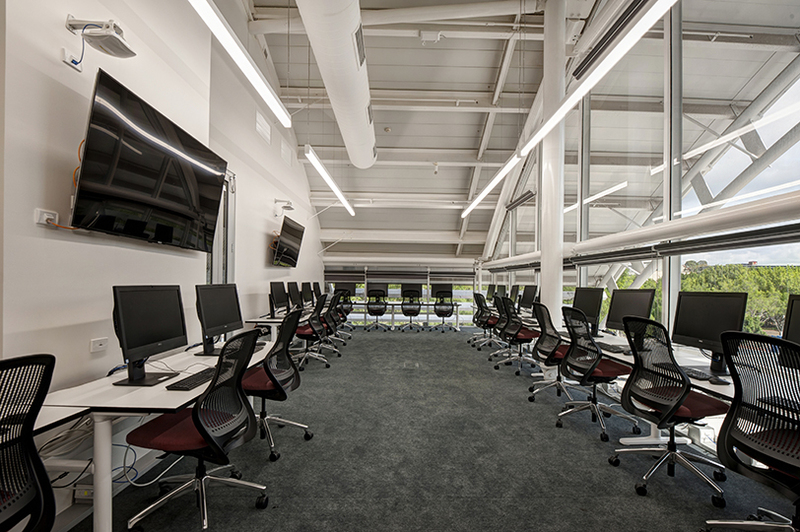 The integration of maritime graphics, strategically placed loose furniture and high quality finishes set the intention for this space and allow the beautiful location to create an environment conducive to learning and teaching alike.